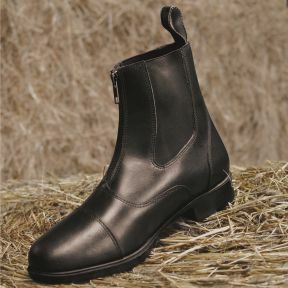 A quality paddock boot with a Mark Todd branded brass zip fastening. 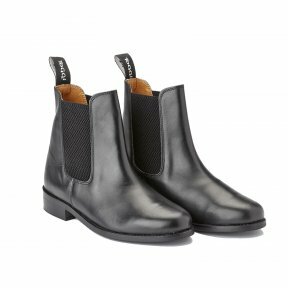 This supple boot has a soft leather padded lining for extra comfort and a contoured sole for extra support. 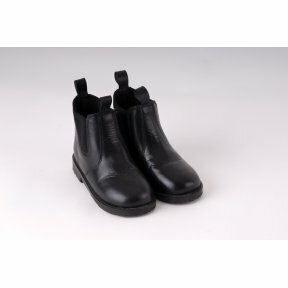 A great all round jodhpur boot that combines the quality you expect from Mark Todd products with affordability. Available in Black and Brown. 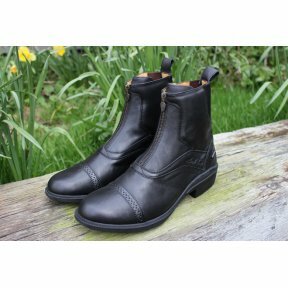 These paddock boots are made from quality leather with a front zip. Featuring a pull tab to allow easy fitting and double stitching detail along the toe cap. The elastic sides give a great range of movement and comfort, with non-slip, traditionally styled moulded rubber soles. 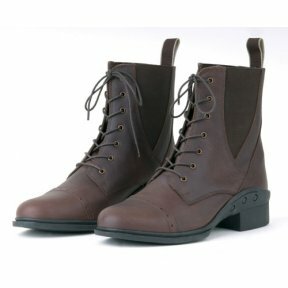 Soft waxy leather lace up boots with elastic sides for comfort, pull tab and brogue detailing on toe, extremely comfortable with energy return sole. 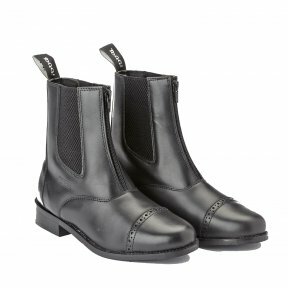 A leather childrens jodhpur boot with elastic sides and moulded soles. Great fit, great Value! 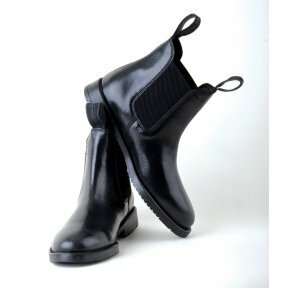 Leather Jodhpur boots For Small people! !